Contemporary light up star ornament. 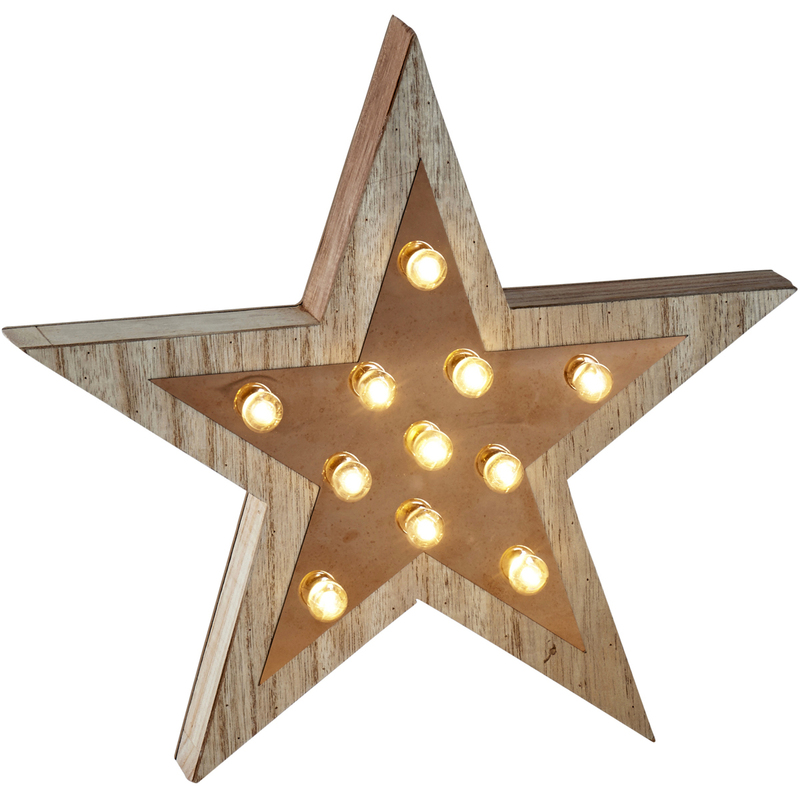 Made from wood and featuring a copper/rose gold coloured panel, it features eleven light up bulbs. Requires two AA batteries not included. Suitable for free-standing or wall mountable use.